Legacy Pharmaceutical Packaging said it is voluntarily recalling 43 lots of drugs used to treat congestive heart failure and high blood pressure, according to a news release from the U.S. Food and Drug Administration (FDA) on March 15. 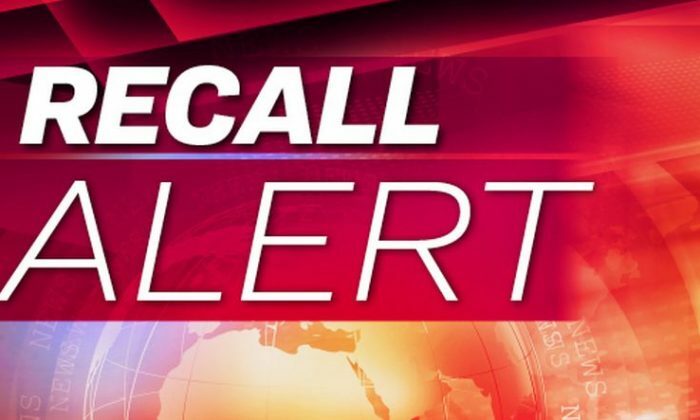 The firm is recalling Losartan potassium tablets after two other pharmaceutical companies, Camber Pharmaceuticals and Torrent Pharmaceuticals, recalled medications after they found trace amounts of NBMA. The tablets were manufactured by Hetero Labs. According to the Miami Herald, Torrent and Camber supplied Legacy. NBMA is a possible human carcinogen. RECALL ALERT: If you take this medication, talk to your doctor. Legacy said it is recalling three lots of 50-milligram, 30-count bottles of Losartan that were made by Torrent and distributed by Kroger. Another 40 lots of 50-milligram and 100-milligram tablets sold in 30-count bottles were manufactured by Camber and were distributed through Walmart, according to the Herald. “The product can be identified by checking the product name and repackaged lot number on the bottle containing these products,” said the FDA. Legacy hasn’t received any reports of adverse events in connection to the recall. HEADS UP: Check your meds for any of these 43 lots shipped nationwide! The FDA has previously said that consumers who have recalled medications should continue to keep taking them and should ask their pharmacist or a doctor if they want to stop or switch medications. That includes valsartan, losartan, or irbesartan. For a list of other losartan recalls, the FDA’s website has details. For a list of valsartan recalls until March 1, the FDA’s website has details. For a list of irbesartan recalls until March 1, the FDA’s website has details. Another pharmaceutical firm said it is recalling blood pressure and heart medication after traces of a cancer-causing chemical was discovered. Camber Pharmaceuticals said it is recalling 87 lots of losartan tablets, including 25-milligram, 50-milligram, and 100-milligram dosages, according to a notice posted on the U.S. Food and Drug Administration’s (FDA) website. A trace amount of N-Nitroso N-Methyl 4-aminobutyric acid (NMBA) was found in the lots. NMBA is described by health officials as a potential human carcinogen. The FDA said the chemical got into the lots via a process impurity or through an ingredient made by a third-party manufacturer. The FDA last month issued a warning about a blood pressure drug shortage caused by recalls. “Valsartan products are in shortage, and we know that other types of products may fall into shortage soon,” FDA Commissioner Dr. Scott Gottlieb and FDA director of drug evaluation and research Dr. Janet Woodcock said in the joint statement. 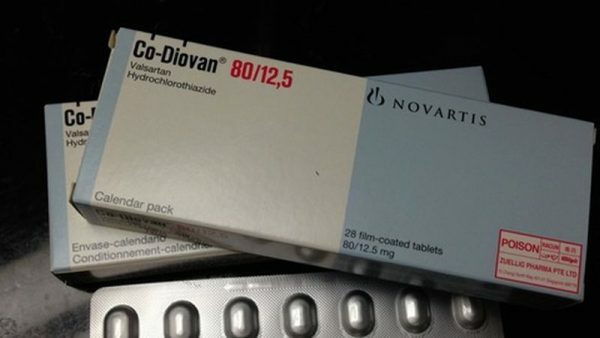 In July, the FDA carried out lab tests on valsartan-containing medications manufactured by a company in China, and the agency discovered the presence of NDMA and NDEA. According to the Environmental Protection Agency, NDMA is found in rocket fuel, lubricants, and other additives. “These two substances are known environmental contaminants and found in water and foods, including meats, dairy products, and vegetables. But their presence in drug products is not acceptable,” the FDA statement said at the time. The issue surfaced in the summer of 2018 after the FDA was informed that an active ingredient manufactured by Zhejiang Huahai Pharmaceutical Co. Ltd. in Linhai, China, had NDMA inside. “We also issued them a warning letter outlining several manufacturing violations, including impurity control, change control, and cross-contamination from one manufacturing process line to another,” the FDA statement last month said. After an investigation into Zhejiang’s manufacturing process, the FDA discovered a change that likely led to the cancer-causing chemicals being introduced. The impurity was also not detected by global health agencies, including the FDA, for some time until last summer.